Sometimes, the most boring things can be used to make other things look more special. You probably have a lot of thumbtacks lying around your home or office. You might use them to pin memos to your bulletin board or leave notes for your family. Did you know they have a lot of other uses, as well? Thumbtacks have come a long way from the ugly brass nails they once were. They are available in a variety of colors and with different styles of heads. There are thumbtacks to match almost any theme you can think of. While their looks have changed, they are still affordable and easy to find. You can even order thumbtacks online. 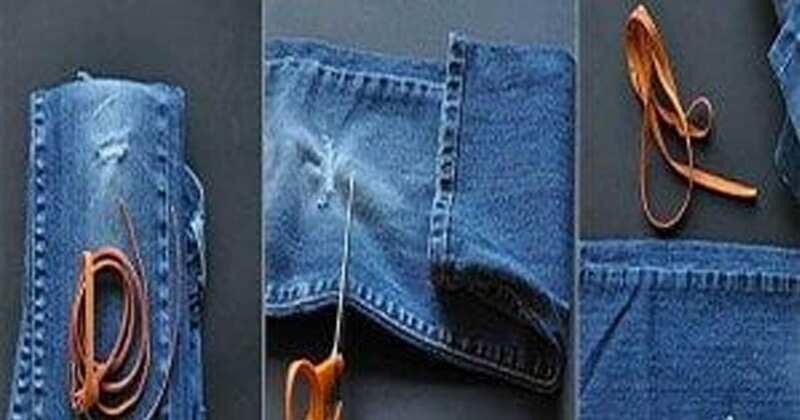 If you get creative, you can find a lot of unique uses for these ordinary objects. 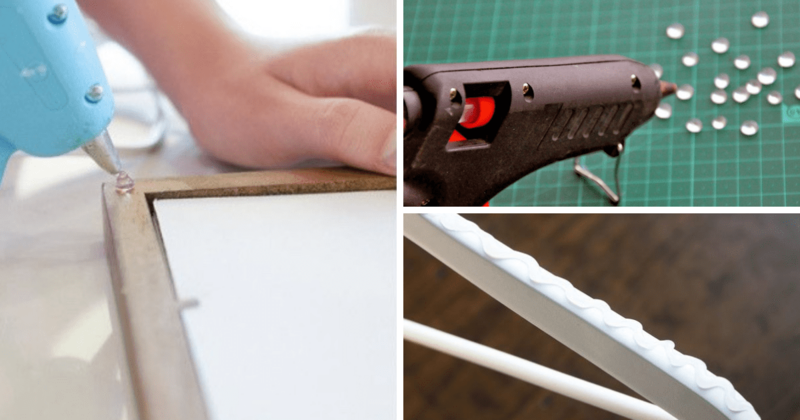 These projects all use thumbtacks to take things to do the next level. 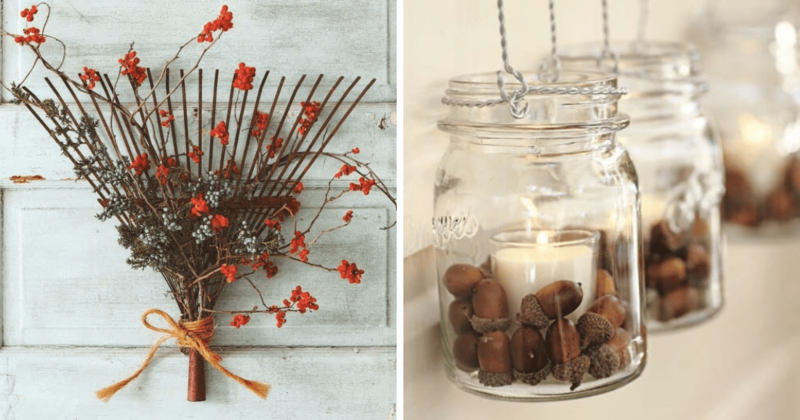 You can find crafts for your home, projects for your business, and even ways to update other things in your home with thumbtacks. Here are 35 interesting ways to use thumbtacks in your home. Nailhead letters are super trendy in home décor right now. You \can find them in hobby shops and home décor shops for a hefty price, or you can make your own out of thumbtacks for a fraction of the cost. 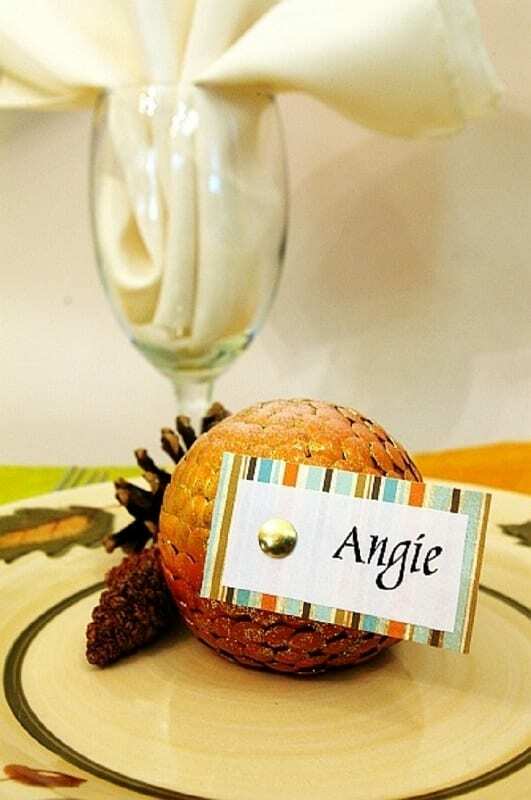 Simply print out a letter, trace it onto a piece of wood, and add thumbtacks to the outline of it. Then, decorate the wood with some craft paint. Tired of staring at the same piece of furniture you have had since college? 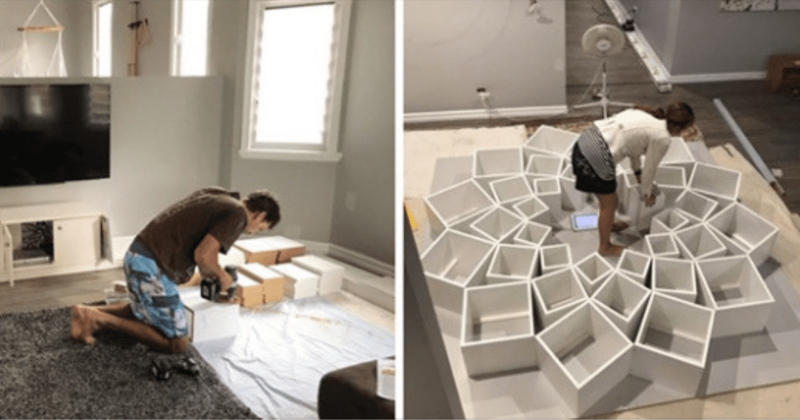 Wishing for something new but don’t want to spend the money on a new table? Just update it by adding thumbtacks to the side. This will create a modern and stylish look. 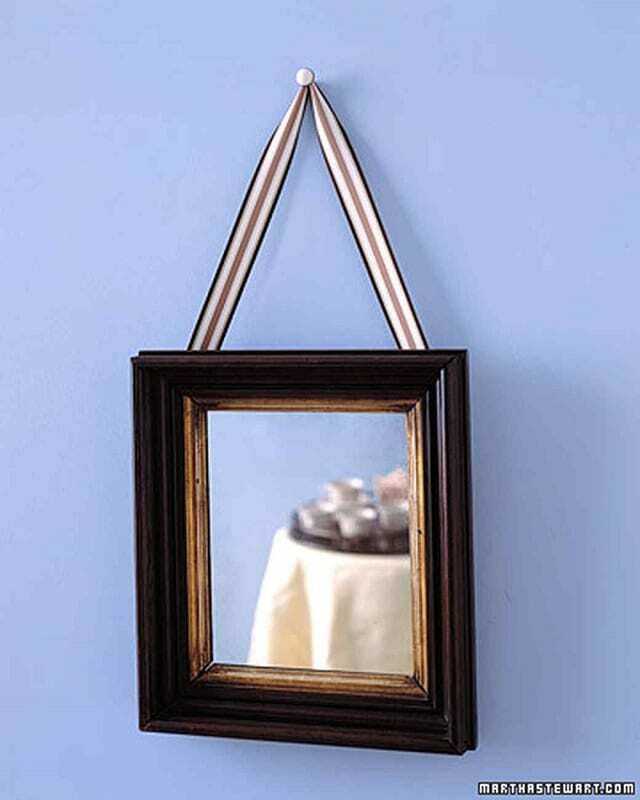 If you have a mirror in your home that needs a little something extra, add a layer of thumbtacks around it. They look great on most types of wood and with most décor. You can find thumbtacks in distinct colors and styles, too. If you have a favorite quote or word phrase, you can spell it out on your wall in thumbtacks. 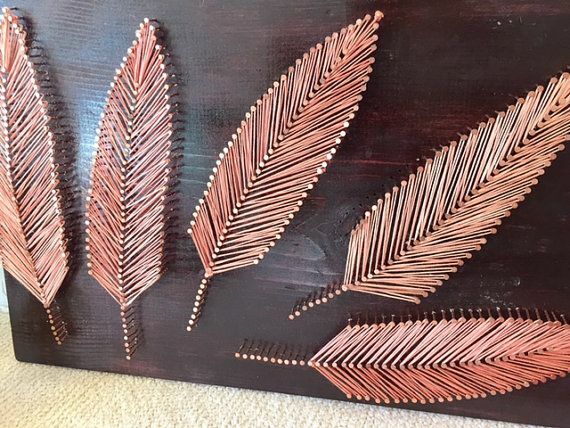 If you don’t want to put them straight into the wall, you can always add them to canvas or a piece of wood to create some unique wall art. 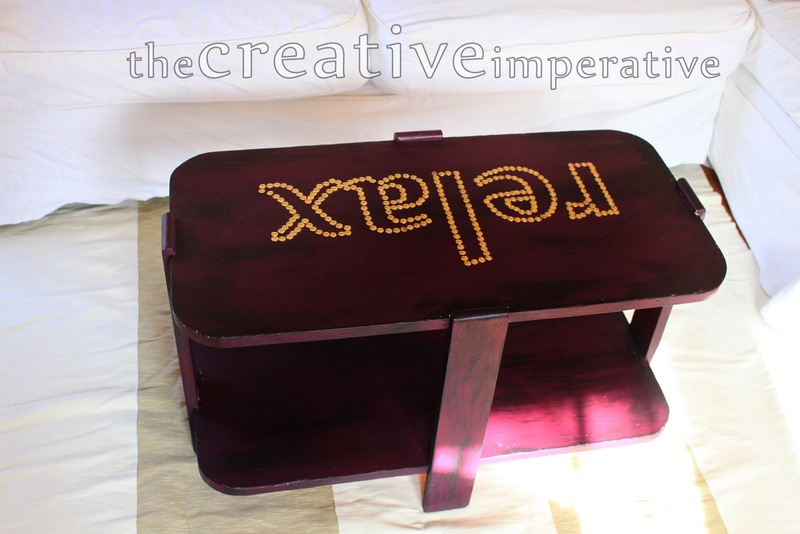 If you have a plain table and want to give it a new look, you can tap some thumbtacks right into the top of it. Make sure they are all level, so you can set things on the table. 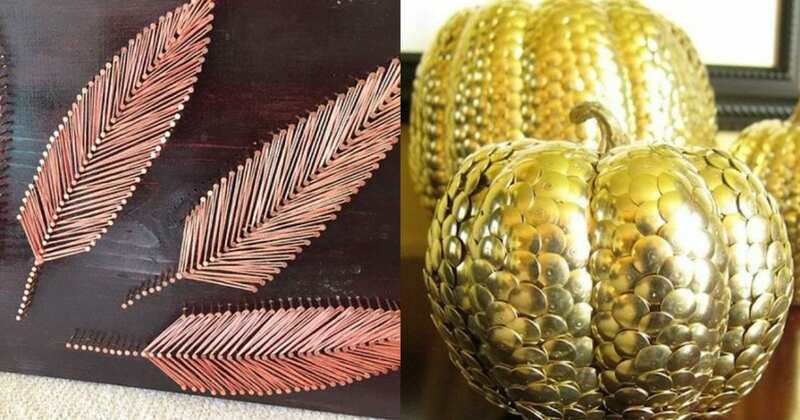 You can even make designs with them to create a unique piece that fits your home décor. 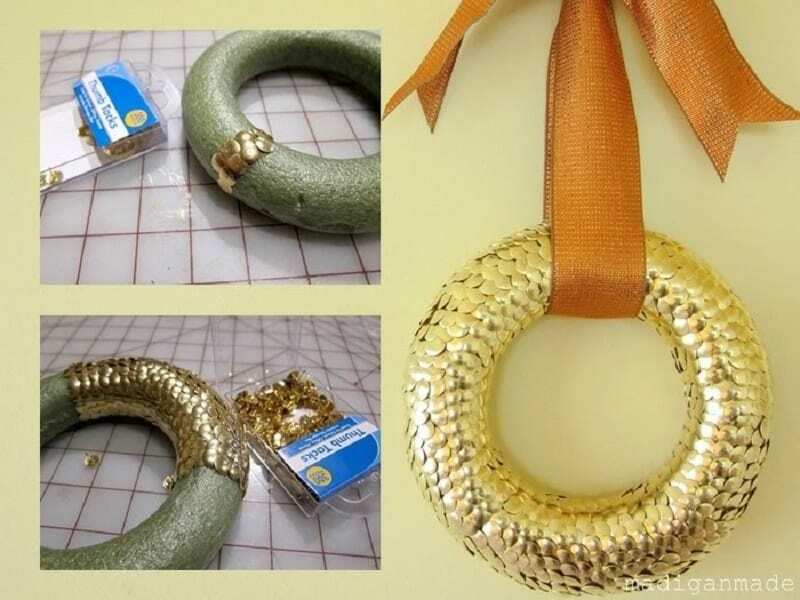 If you want to make something pretty for your door for the holidays or any time of year, this wreath is a great option. Simply press the tacks into the wreath form to cover it. You can add other items, like flowers and ribbon, if desired. Sometimes, you need to update your table with a new centerpiece. Don’t spend a lot of money on things at the home store. Just pick up some foam balls from your local dollar store and add thumbtacks to cover the outside. They look great in a vase or a bowl. 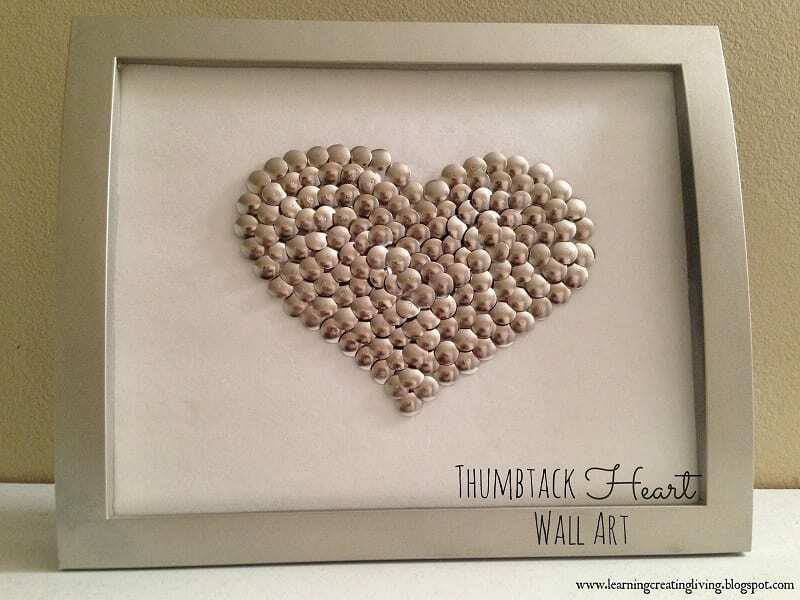 You can add a little love to your walls by making a heart with the thumbtacks. Add them directly to the wall or add them to a piece of poster board. It’s a great piece for a teen’s room or any room in the house. It also makes a nice Valentine’s Day decoration. Create a beautiful accent wall with some bright paint and some studded thumbtacks. 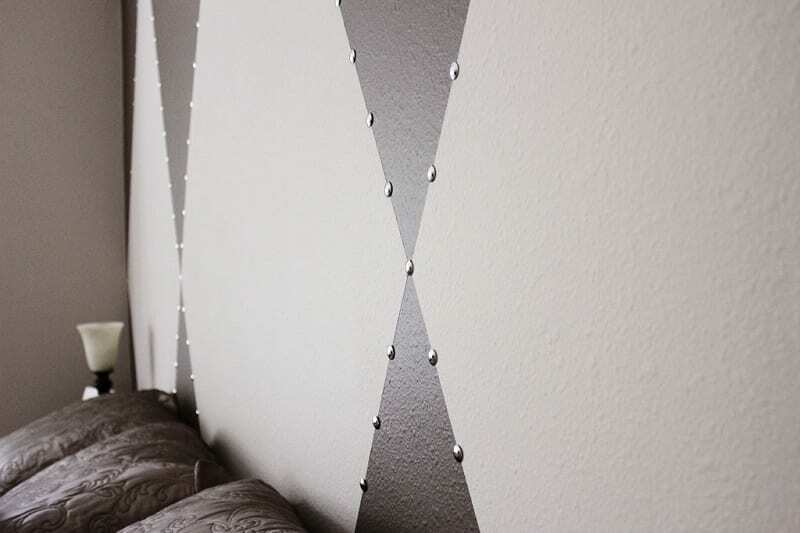 Use the studded tacks to create a pattern on the wall. 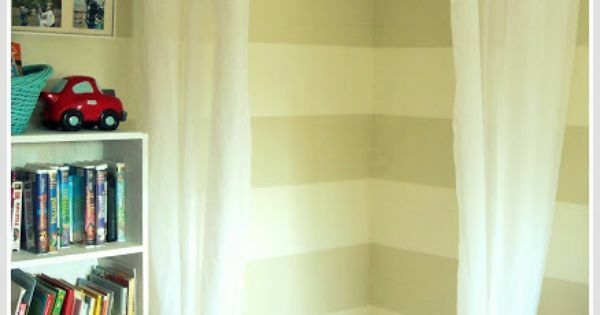 Stripes or chevrons are a great idea, or you can even do spots. It’s totally up to you and your design tastes. 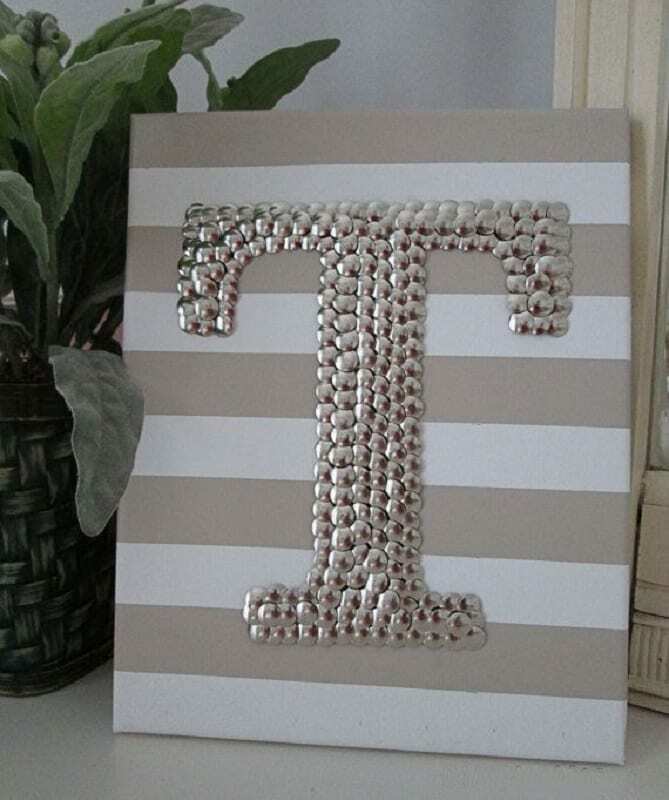 Add something special to your bedroom by using thumbtacks to spell out your last name. If you share your bed with a partner, add both names. You can also add designs and quotes to personalize your bedroom sign. Take a piece of corkboard and cover it with fabric. 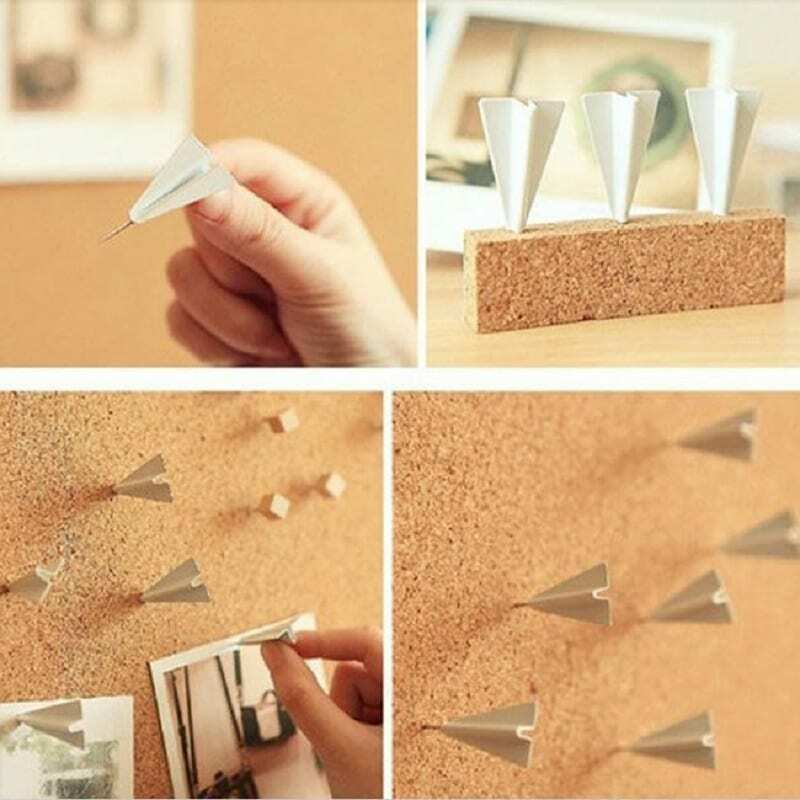 Use the thumbtacks to pin your messages and important notes in place. It’s a functional piece of art that will make your life easier. They are great for sharing the weekly menu at home or leaving important notes for your family members. Tired of seeing the same carved and painted pumpkins on every porch in the neighborhood? 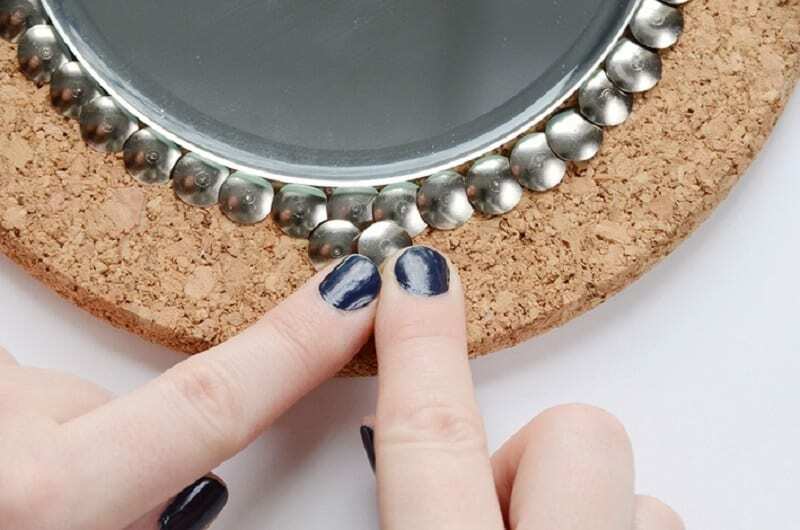 Give yours a special look with thumbtacks. Just poke them into the pumpkin to make a face, letter, or another design. 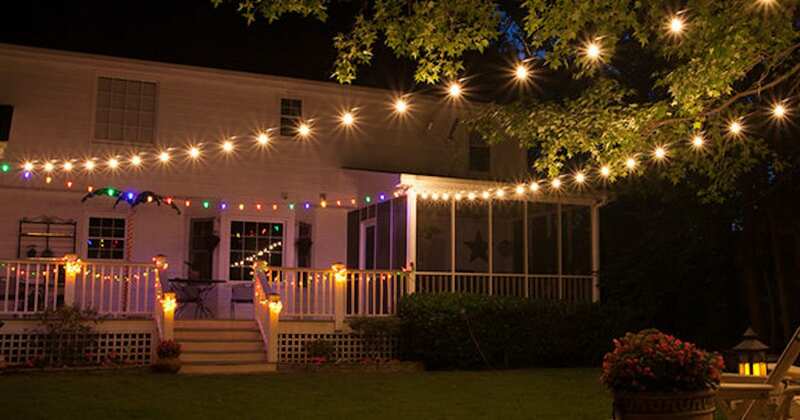 Christmas décor can be expensive, and you only leave it up for a few weeks. 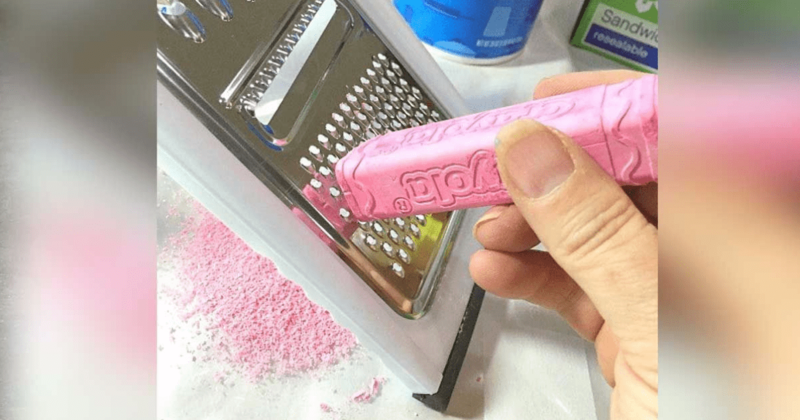 Why buy it when you can just make it? 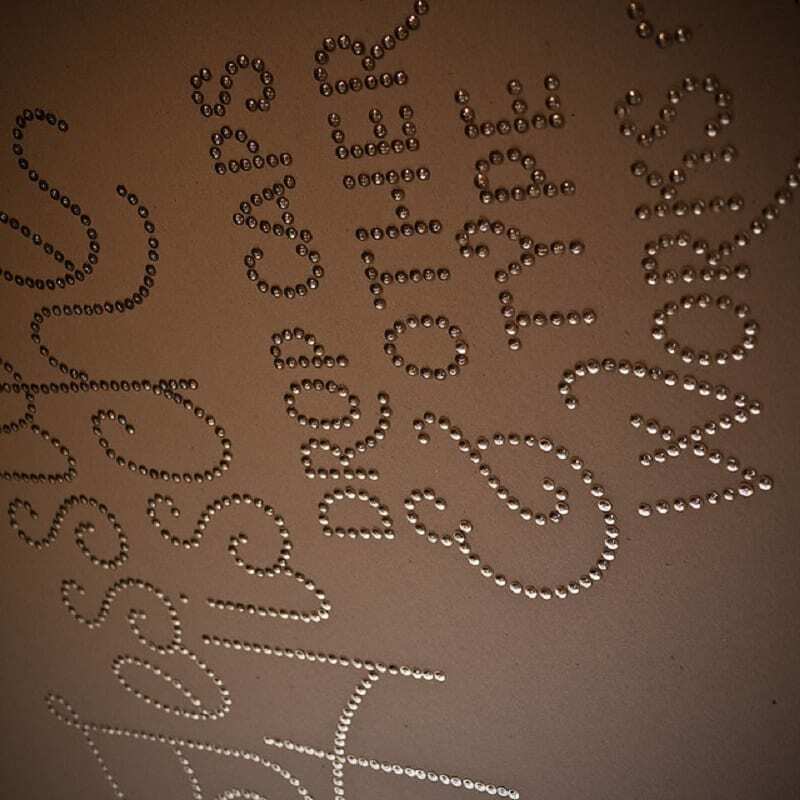 You can use tacks to spell out the word “Noel” on your wall or on a wooden sign. You can even spell out other Christmas words or phrases for other parts of your home. 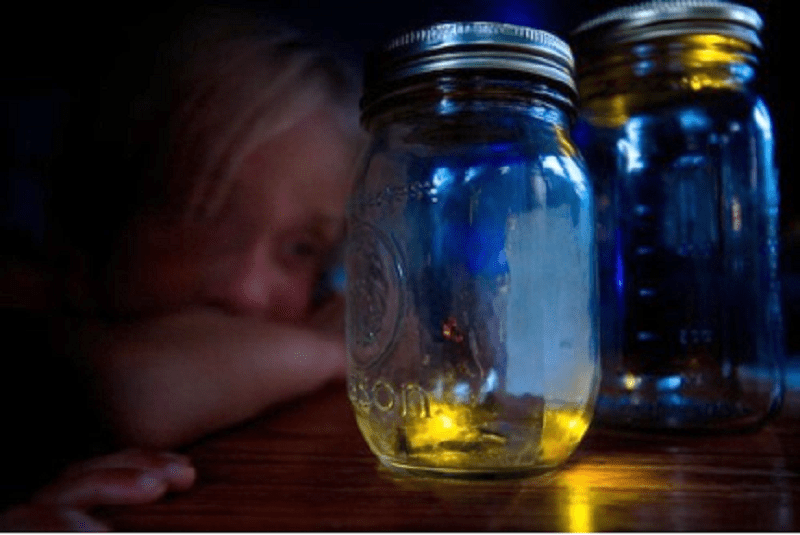 If your kids love to catch lightning bugs and keep them in jars, you need a way to vent the lid. Pressing thumbtacks into it will make holes that are big enough for the insects to get oxygen but not big enough that they can escape. 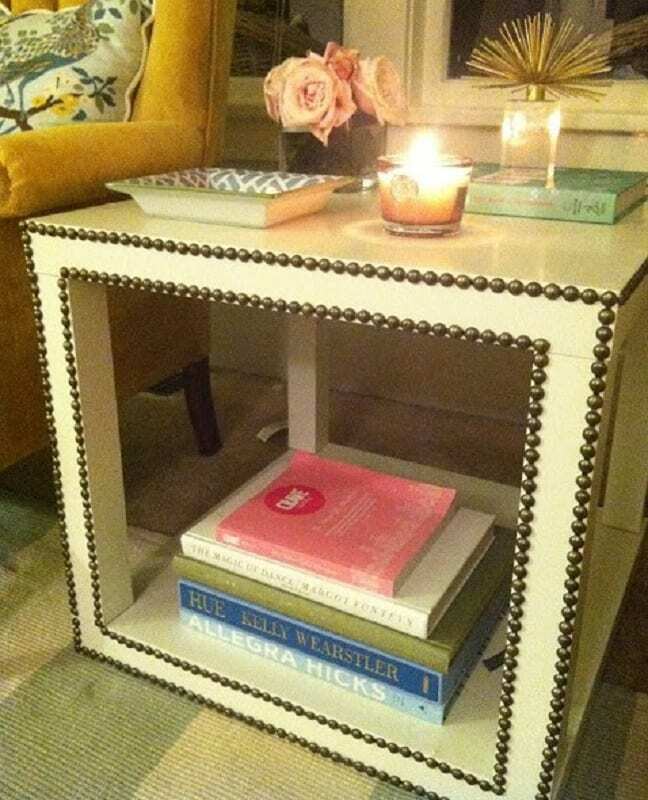 Tired of boring old picture frames? 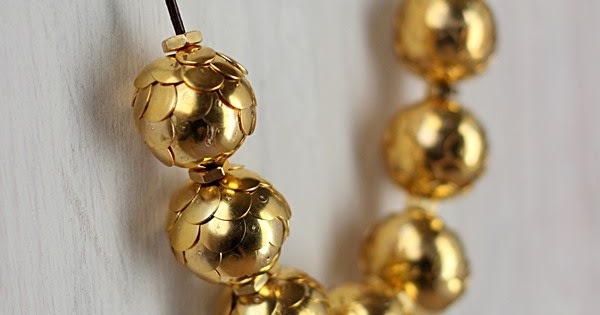 Add some sparkle and shine with thumbtacks. Just poke the tacks into the frames to create a fun pattern. You can even find tacks with different colored heads or special designs on them to give your frames an interesting look. 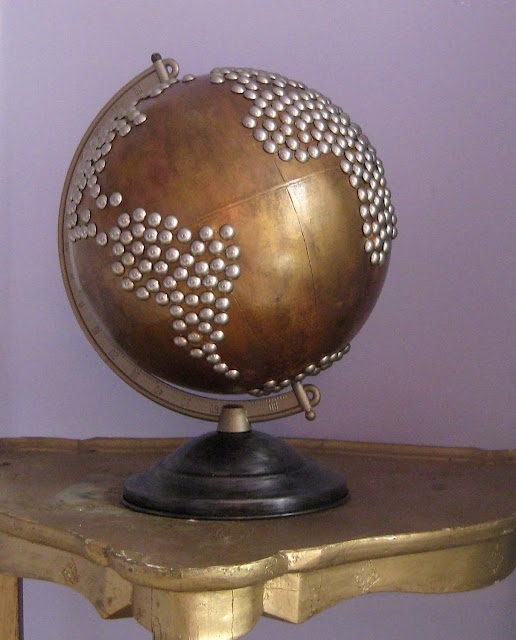 If you have an old globe in your home and don’t really want to look at it anymore, you may change your mind when you cover it in tacks. The unique round globe will look great on a desk or shelf, and it even has the appearance of an expensive piece of décor. 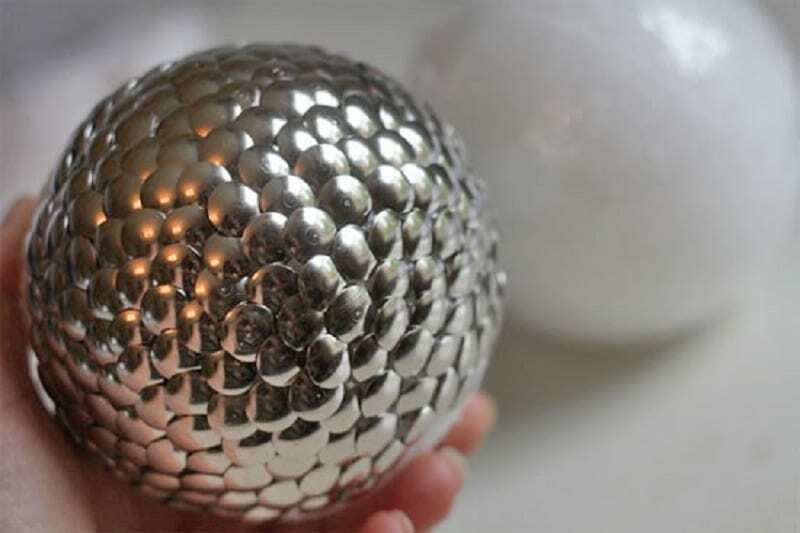 Ever wanted your own dragon egg? 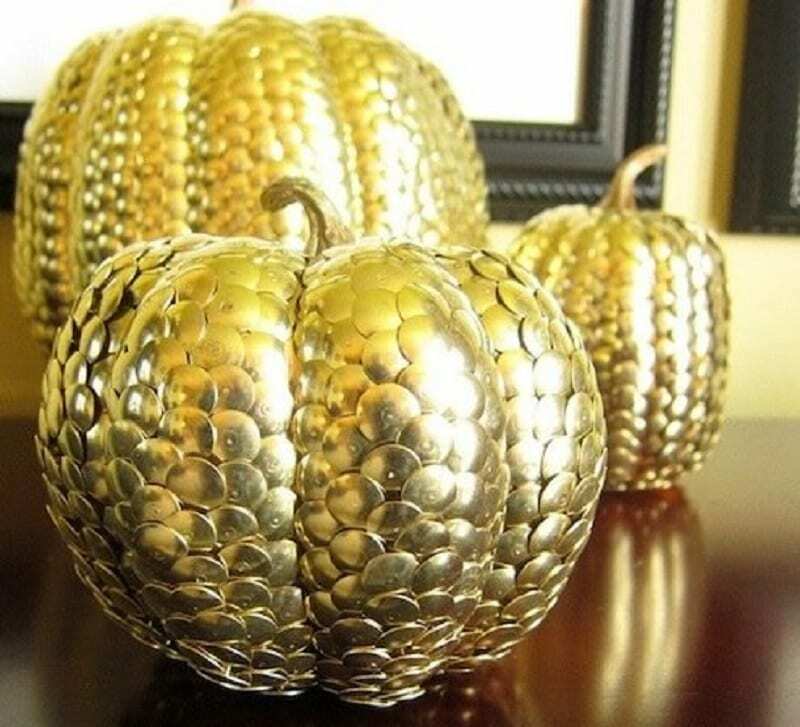 You can make one with some gold thumbtacks and a Styrofoam egg. Cover the egg in tacks, and it will look like it is covered in golden scales. 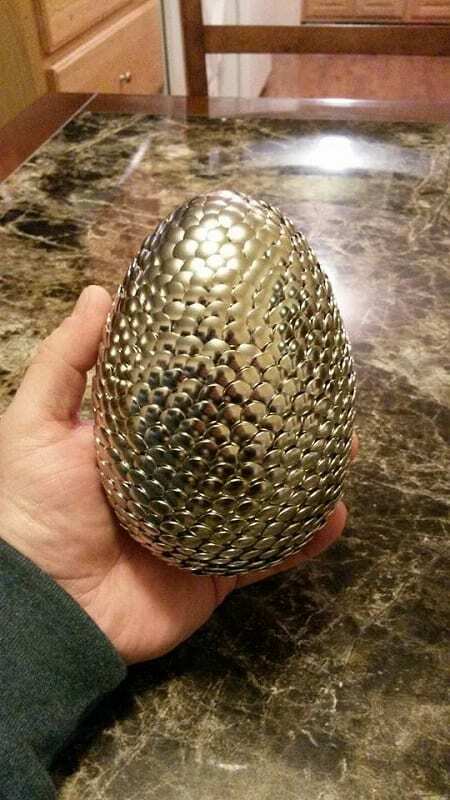 If you had to guess what a dragon egg would look like, it would be this. Clocks can be boring, but you can make them a little more interesting by replacing the numbers with tacks. 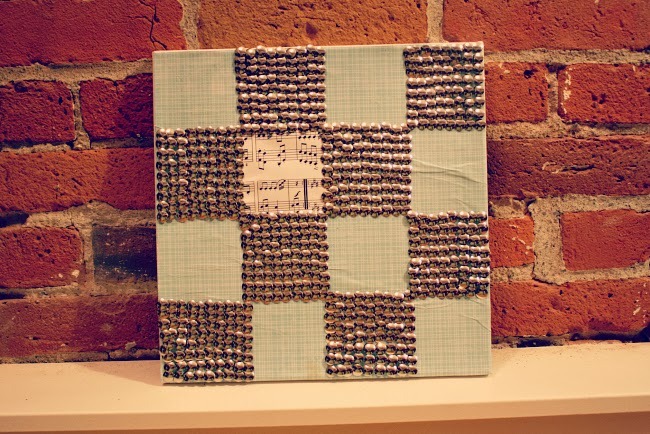 You can make number designs or keep it simple and leave one tack at each hour. 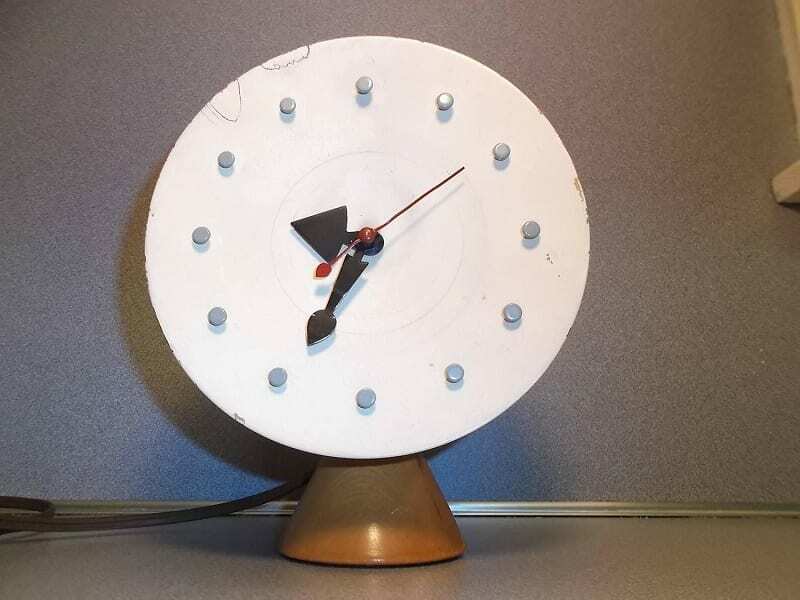 It won’t make time slow down, but it might make your clock a little trendier. 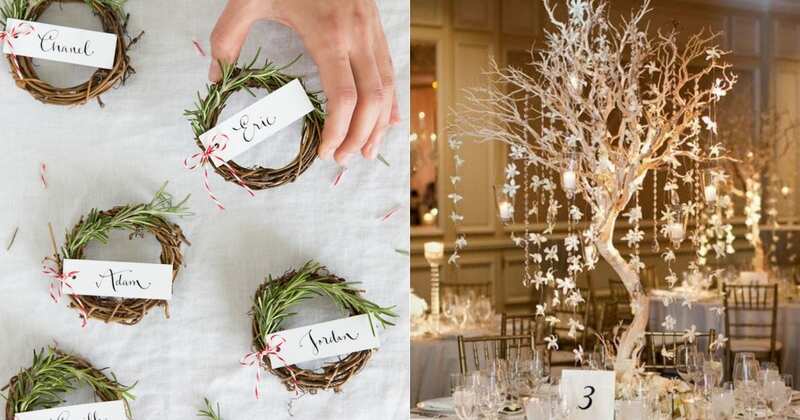 Do you need to make place settings at a table and want something pretty to make them? 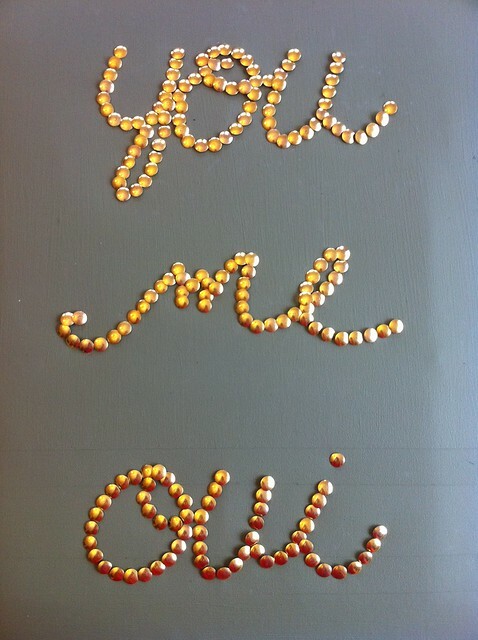 Use thumbtacks to spell out names or initials. You can poke them into cards, wood, or just about anything. Your guests will love them. 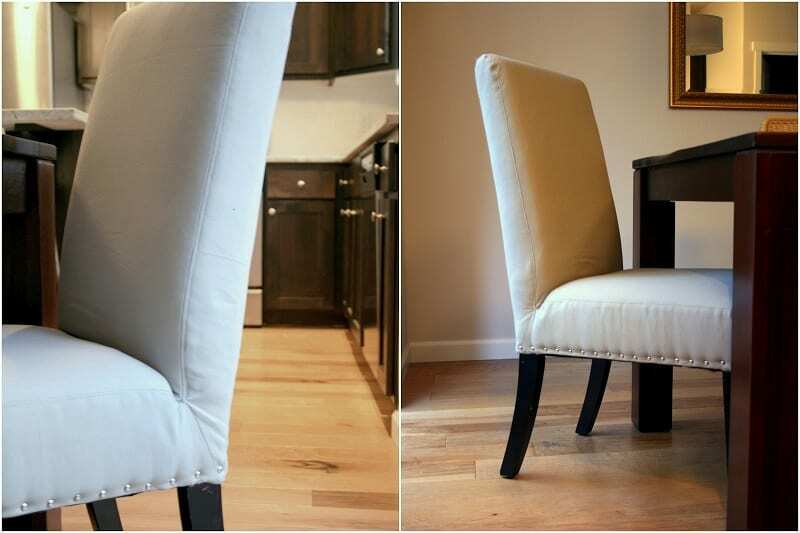 If you have an office chair that needs a makeover, try some thumbtacks. Put them around the edges of the chair to make a border. 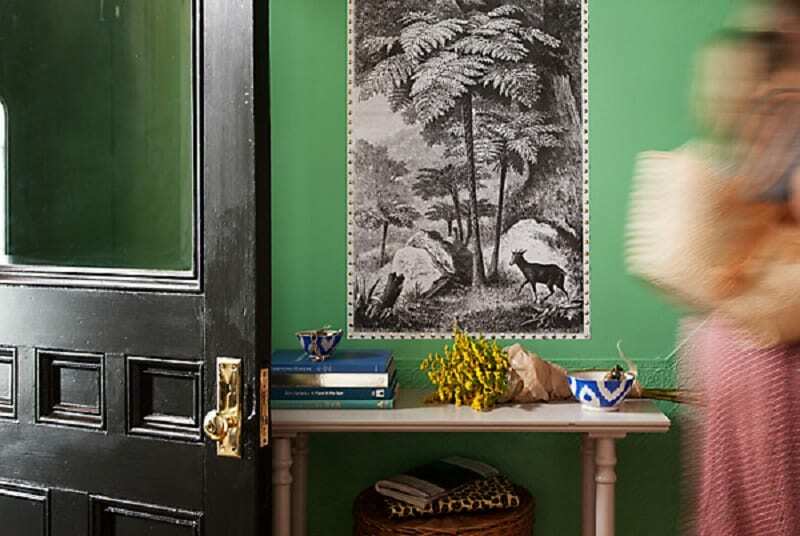 You can use colors and designs to match the décor in your home or office. If you have a rip or spot you need to hide, you can use the tacks to cover it. 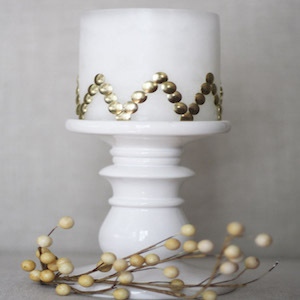 Need an accent piece for a room or table? 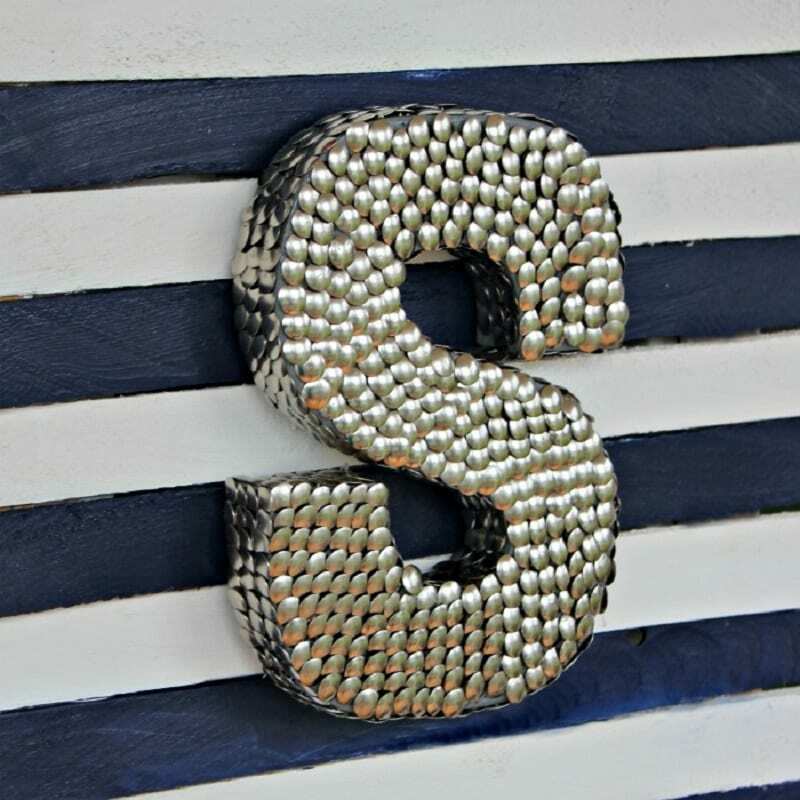 Purchase a large cardboard letter or number from your craft store and use thumbtacks to decorate it. You can use different colors to make stripes or other patterns. 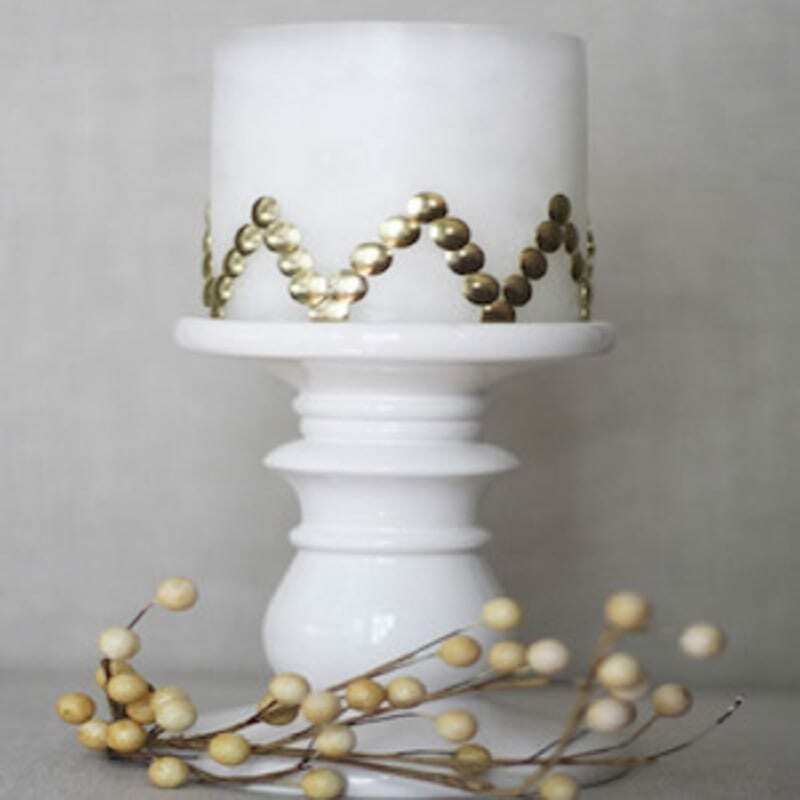 These look great in living rooms and even make great gifts for teens and newlyweds. Use thumbtacks to poke a design in a metal can. You can also just poke random holes in it. 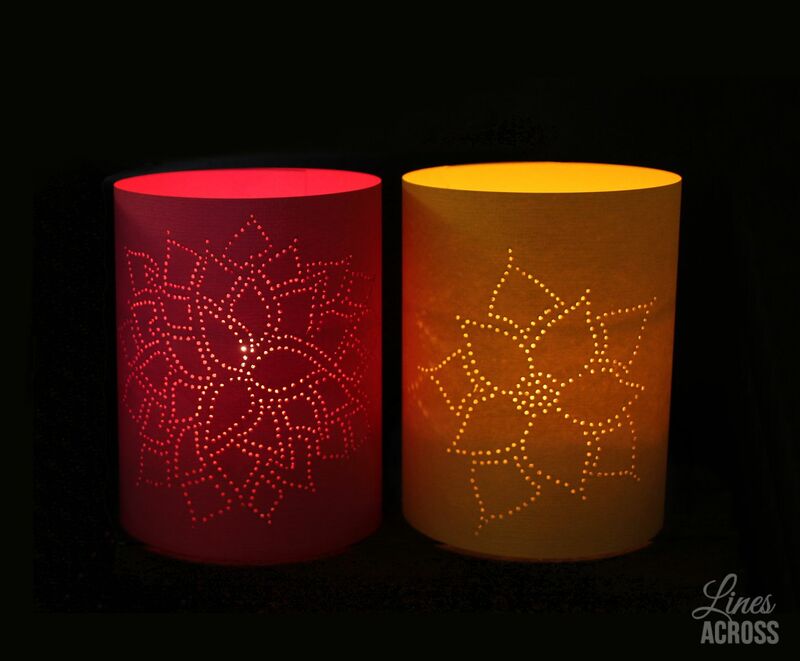 Put a tea light or candle in the can, and the lights will shine through the holes. You now have a lantern. 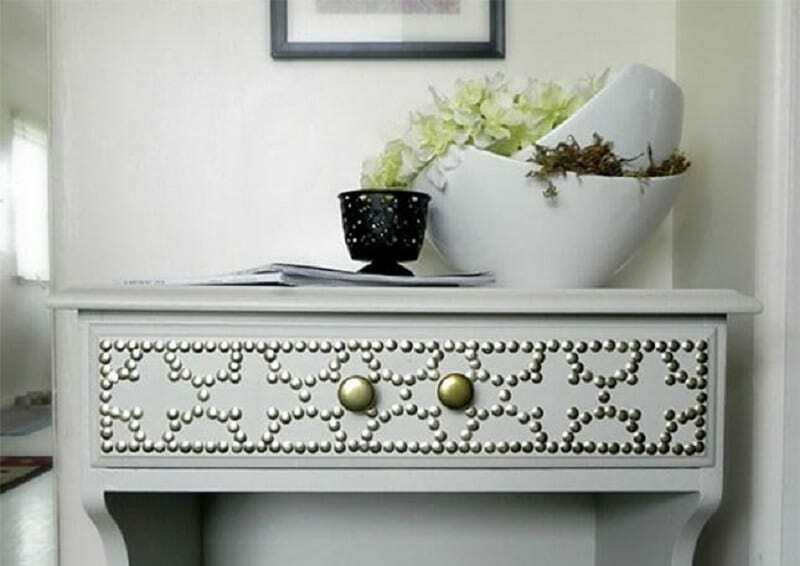 Thumbtacks can be used be change the look and design of your dresser. 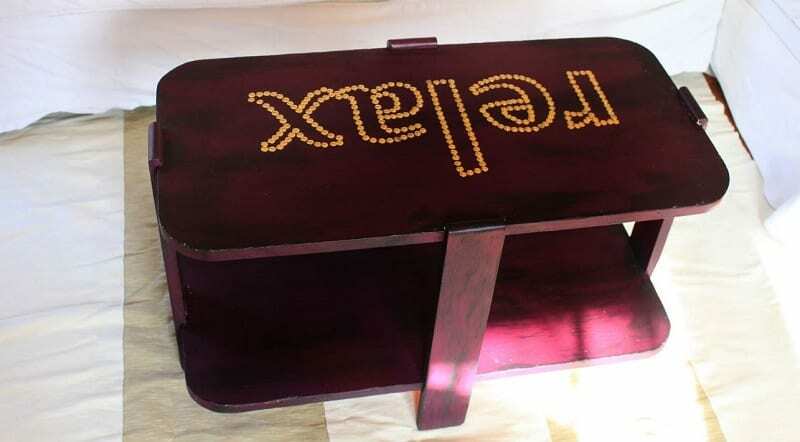 Push them into the drawers to make shapes or letters or use them as trim around the tops and side. They look great on wood or painted dressers. Don’t be afraid to make fun designs across the drawers, too. 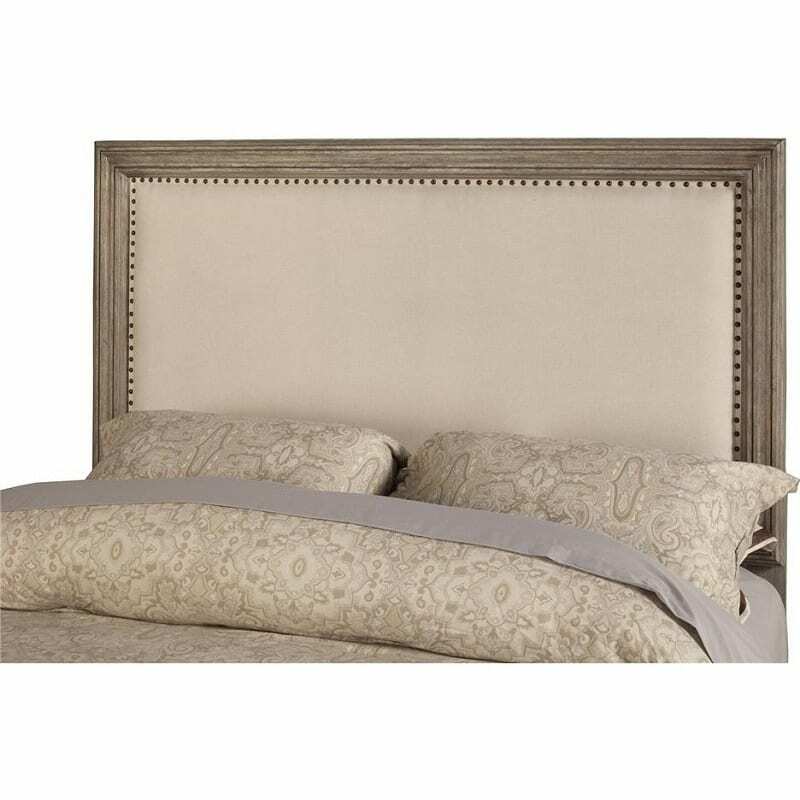 Tired of staring at your boring old headboard? Some thumbtacks can give it a fresh look. Add them to the top or bottom to create a border. You can even make a letter or spell out words to get even more creative. You can use thumbtacks to make beautiful Christmas décor. 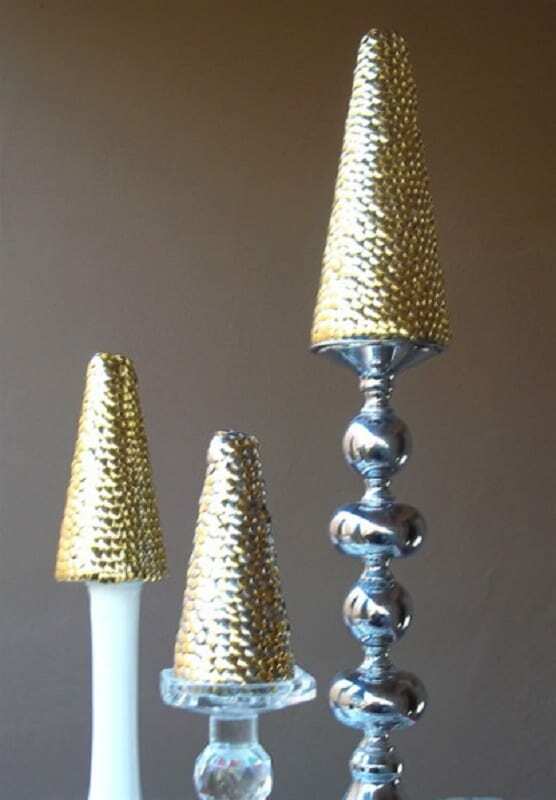 Just buy some foam cones and press the tacks into them to create a design or to cover them. Display them on a shelf, and you have something unique to show family and friends during holiday parties. You may want to leave them out all year long. Print out an image from your computer and cut out the silhouette. Trace it onto a wooden plank and then add thumbtacks to the outline. Take thread or yarn and draw lines across the image to make string art. Hang it on your wall or set it on a shelf. You can find thumbtacks with beautiful designs on them. Purchase the ones you like and use them on your scrapbook pages. They can hold the photos in place or just act as borders and décor. You can even use them to spell out words and fun phrases around your photos. Who knew you could wear thumbtacks around your neck? Purchase some small Styrofoam balls from your local craft store. Poke a hole through each one, then poke the tacks into them until the rest of the surface is covered. Thread them on a string and add beads to make a nice necklace. If you need a way to decorate your room and don’t want to spend a lot of money on fancy décor, just make some yourself. Buy some poster board or canvas and then print out some designs or photos you like. 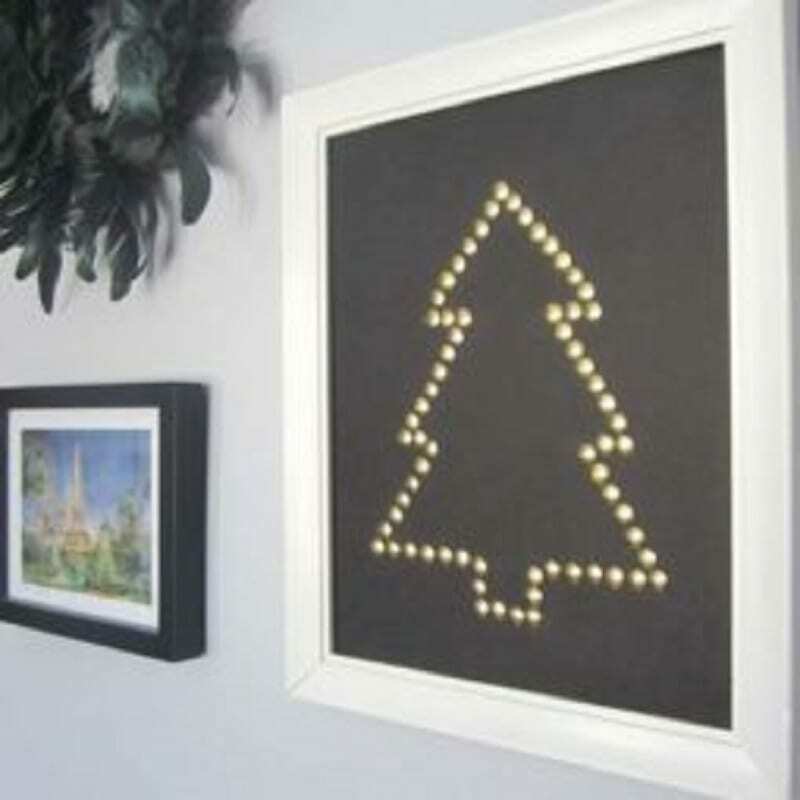 Use the tacks to trace the outline of the image, and you have some beautiful wall art. 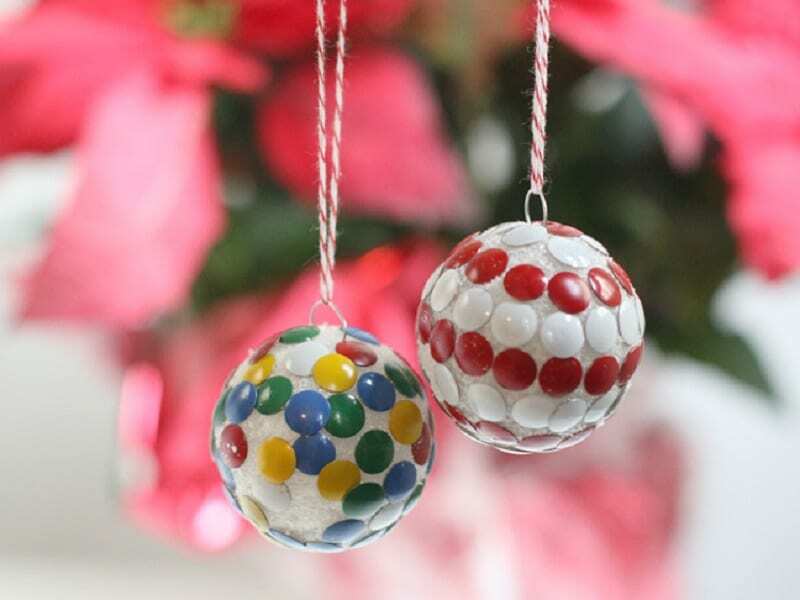 Give your Christmas tree some extra sparkle with some thumbtack ornaments. Just use regular fabric balls and poke tacks into them. Cover the balls or create a fun pattern. Then, hang them on the tree. They will catch the light and look great. If you want to redo your walls but can’t put up wallpaper or paint because you are renting, use tacks. Thumbtacks can be added to the corners and other areas of the wall to secure wallpaper and murals. They will stay put but be easy to take down when the time comes. 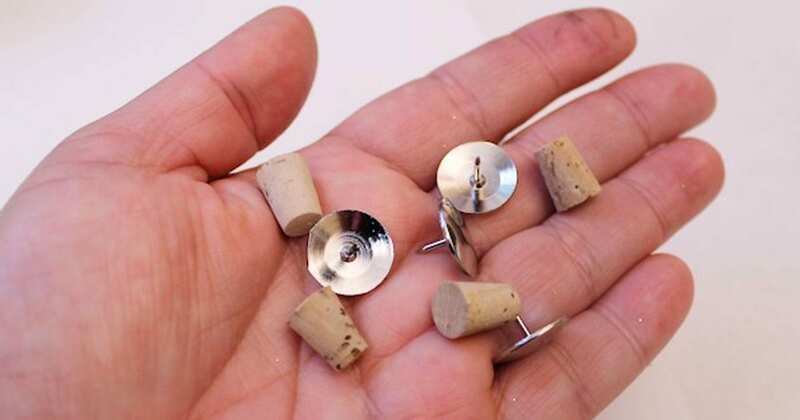 Instead of spending a lot of money on photo hanging kits or using nails to hang photos, use thumbtacks instead. They make small holes but can hang most photos. 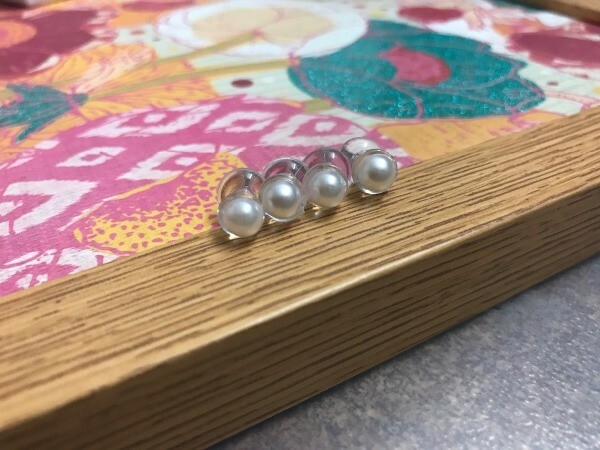 If the photos are heavy, you may need to use one tack at the top and one at the bottom to secure them properly. 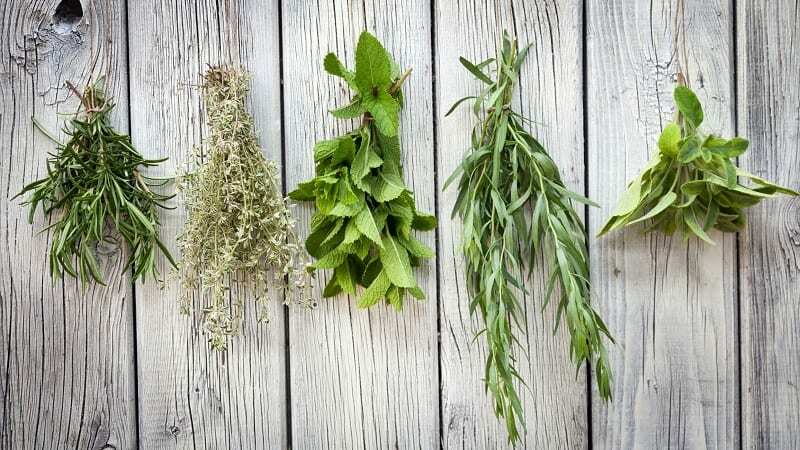 If you use a lot of cut, dried herbs in your recipes, you can use tacks to hang them in your pantry. Just bundle the herbs to make a bouquet, and then use a tack to hang them in your pantry. They will stay dry, and the tack won’t leave much damage. If you have thin curtains and don’t want to put them on a rod, you can use thumbtacks to hold them in place. 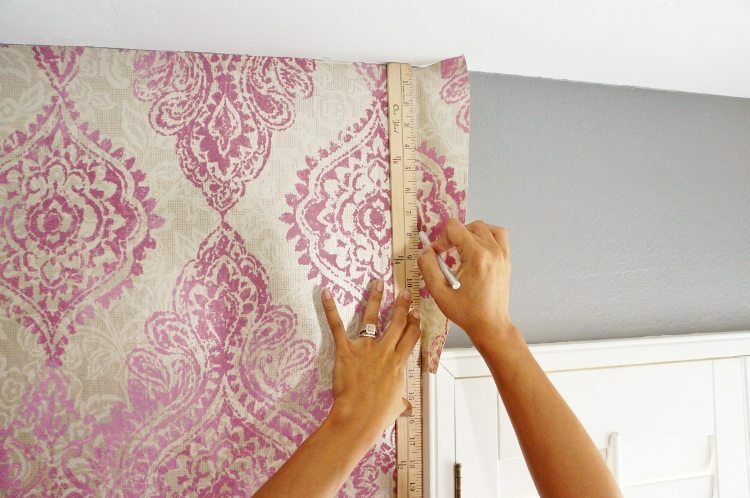 Simply put the tacks in the corners of the curtains and hang them where you want them. Just make sure they don’t damage the delicate curtain material.